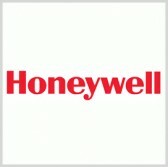 Honeywell has received certifications from various aviation agencies to provide its satellite communications system and health and usage monitoring platform for a range of helicopters. The company said it obtained supplemental type certificates from U.S., European and Brazilian respective aviation agencies to offer the Honeywell Health and Usage Monitoring Systems and Vibration Expert products for helicopters such as Leonardo‘s Augusta AW139 and Sikorsky‘s S-76C and Blackhawk platforms. HUMS and VXP are also certified for Bell Helicopter-built Bell 206 aircraft and Airbus-made EC135 and EC145 helicopters. VXP works to monitor aircraft vibration data to identify component issues while HUMS supports efforts to prevent groundings and reduce costs through predictive maintenance diagnostics and alerts. Honeywell added that its Aspire 200 satcom offering was also authorized for installation on AW139 aircraft and further STCs are in progress for Sikorsky S-92, AS332 Super Puma, Airbus AS350 and Blackhawk aircraft. Aspire 200 is designed to provide cabin voice and data services through Inmarsat‘s SwiftBroadband satellite system.